banned?” It’s the typical scam of trying to sell you a flashlight they get for two dollar wholesale by convincing you that it’s carried by the Navy SEALs and is not suddenly available to the public. It’s not even suddenly available to Amazon. The answer of course is yes, it should be banned, because no military in the world would carry such cheap crap, it’s not made in the USA, it’s not the world’s brightest and the photos are the same regurgitated ones shown by most of the other scams, and not even of the product they are selling. 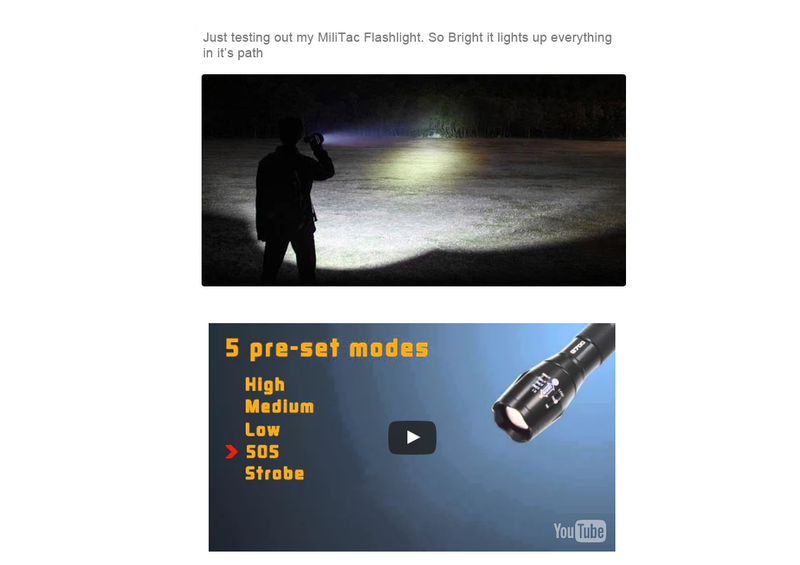 Notice in the “testimonial” below that the guy is holding a much larger flashlight, probably with multiple LEDs judging by the light pattern. Notice the disclaimer text is grayed-out, with a big empty space above it.